Contact Miami-Dade County, Florida Motorcycle Accident Attorney Gerson & Schwartz, P.A. 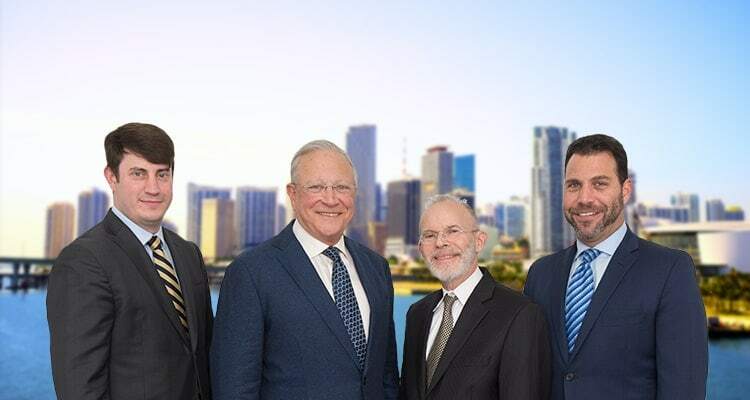 The Miami, Florida based personal injury law firm of Gerson & Schwartz, PA provides aggressive and effective legal representation for clients seriously injured in motorcycle accidents throughout Miami, Fort Lauderdale, Palm Beach, and other areas of South Florida. Motorcycle accidents often pose complex factual, legal and financial issues. Liability is often contested because many people tend to perceive that motorcycles are dangerous. However, most of these drivers are just as careful as other drivers on the road. In a motorcycle accident, injuries vary from either serious to catastrophic and in some cases may be fatal. Therefore, a prompt investigation to preserve all evidence and uncover all sources of legal and financial responsibility is especially important. That's why you need to contact an experienced motorcycle accident lawyer in Miami for help. At Gerson & Schwartz, PA our Miami motorcycle accident lawyers have been protecting the injured for over 48 years. Over four decades is a benefit to the motorcycle injury victims and families we represent. Our case results for motorcycle crash victims speak for themselves. Gerson & Schwartz, PA attorneys have worked extensively together for many years. We always work hard to uncover the case facts and to ensure our client's legal interests are adequately protected. Our law firm has also handled many cases for serious and catastrophically injured clients where other lawyers said no. At Gerson and Schwartz, PA our motorcycle accident attorneys know the questions to ask and where to find the answers too. If we are unable to to negotiate a fair settlement we also won't hesitate to bring your case before a jury. When you retain our law firm, you are going to receive legal representation from experienced trial lawyers. Our mission is the same for all our clients. We present our client's cases in the courtroom in a convincing and compelling fashion. Our goal in every case is to recover the maximum amount of financial compensation the law permits and to seek justice for all clients we represent. Liability for many motorcycle accident cases is usually based under Florida common law negligence principles. Through creative lawyering our attorneys have also established legal and financial responsibility based on less obvious legal principles such as vicarious liability, respondeat /superior, employer/employee relationships, negligent entrustment claims, dram shop liability, and other business and contractual relationships such as joint ventures. Motorcycle accidents are usually caused by some form of negligence, carelessness, or reckless conduct. Examples include inattentive drivers, distracted drivers such as text messaging, speeding, failing to obey traffic signals, or simply failing to yield the right of way. In some cases, businesses that rent motorcycles to tourists can be held liable as well. Liability for motorcycle accidents can also be arise from less obvious parties. Some examples include construction companies where road design or maintenance of traffic may have contributed to the collision. Auto companies and certain motorcycle manufacturers can also be legally responsible under other legal theories such as a product liability claim, when the motorcycle accident may have occurred due to an auto manufacturing or design defect. For example, a defect in either your motorcycle or the vehicle that hit you might have caused the crash. Another example could be that a passenger car’s brakes might have failed, causing the car to rear-end you. Or your motorcycle might have malfunctioned, leading to a collision. In these situations, it was not negligence of the driver, but a defectively designed component, part, or defective design in a components part or product that may have caused the accident. If so, you might be able to file a personal injury lawsuit against the car, auto, or motorcycle manufacturer, for a product liability claim or against the manufacturer of the component part that failed. If hired to represent you, our Miami motorcycle accident lawyers will conduct a thorough investigation right away to determine the best course of legal action. At Gerson & Schwartz, PA, our attorneys employ experienced investigators and only utilize the most qualified experts in accident reconstruction and other relevant engineering, and medical fields to help prove our client's cases in court. If you or a loved on were seriously injured in a motorcycle accident in Miami, Fort Lauderdale, or another part of South Florida then don't wait. Contact us today to find out how we can help. Motorcycles, mopeds, and scooters alike don't provide the same safety protections that cars and motor vehicles provide. Special laws, rules, and regulations govern motorcycle owners, drivers, and motorcycle operators in Florida. Under Florida Statutes, 316.211 "Equipment for motorcycle and moped riders" motorcycle operators and moped drivers under the age of 21 are required to wear a helmet. If you are over the age of 21, operators may elect to not wear a helmet if they carry a minimum of $10,000 in insurance protection. We recommend that all Florida motorcycle operators and passengers use all available safety equipment available such as helmets and other protective gear available. Florida law also requires motorcycle operators to wear protective eye gear such as protective glasses and requires that motorcycles are equipped with safety equipment such as foot rests and handle bars. In addition, Florida law also requires motorcycle drivers to carry a valid motorcycle operator license. What to do if Injured in a Motorcycle Crash? Our law firm handles all motorcycle crash cases on a contingent fee. That means you only pay legal fees if we win and at the end of the case. There are also no upfront costs to get started. If you or someone you love has been seriously injured in a motorcycle accident in Miami, Florida then contact us a Miami motorcycle accident attorney today for a free consultation. All case calls and appointments are kept confidential. Se Habla Español. To find out more about our Miami, Florida personal injury law offices and how we can help call us now at (305) 371-6000. 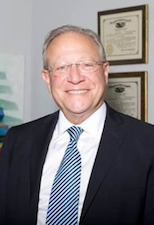 Gerson & Schwartz, PA motorcycle accident attorneys represents injury victims in Miami-Dade, Kendall, Coral Gables, Miami Beach, Miami Lakes, Miami Springs, Hialeah, Medley, West Palm Beach, Jupiter, Allapattah, North Miami, Opa Locka, Fort Lauderdale, Doral, West Miami, Homestead and many other cities in South Florida. Call Us Today to Speak with One of Our Legal Specialists at (305) 371-6000 or click here to speak to a lawyer directly about your case.